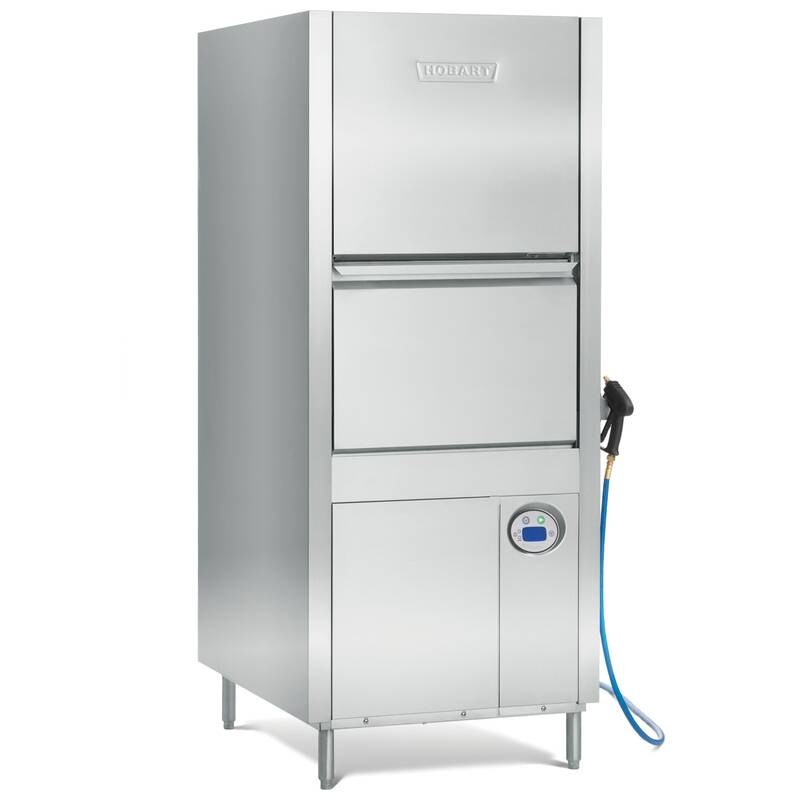 The Hobart PW10-1 high-temp dishwasher can wash as many as 20 racks in an hour. It comes with a flat grid rack, tray rack, and flat bottom rack. Racks load into the chamber through the front split-door 33.79-inch opening. As many as 10 full-size sheet pans fit in the chamber, or it can hold a 140-quart mixing bowl. Reaching a maximum 70-degree Fahrenheit rise, a Sense-A-Temp™ booster heater is included. The unit has a stainless steel, deep-drawn tank and clog-resistant upper and lower wash and rinse arms. Food debris is caught by the scrap screens and basket, which are removable to facilitate cleaning. This Hobart PW10-1 door-type dishwasher has microcomputer controls that start when the doors are closed and the wash cycle button is pressed. During the wash cycle, the pump motor energizes, and the dwell begins after the wash. During the dwell, the upper wash manifold drains prepare for the final rinse. Wash cycle lasts 2, 4, or 6 min. Unsure if this is the right unit for your application? 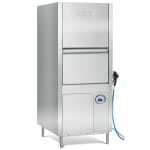 Read more about them in our door-type dishwashers buyers' guide.